As such, we decided not to include core investors, venture capitalists, and corporate board members who play no other role within the tech space. We have identified those on our list by consulting leaders, executives, experts, and consultants within and outside Silicon Valley. Still trying to figure out the names of the four who we included as part of our opening snapshots? Read on to find these amazing leaders and others who comprise our list of Top Tech Influencers. If you can identify technology that has helped reduce gun violence, police departments from Chicago to New York will point to ShotSpotter Inc. Ralph A. Clark, the company’s president and CEO, has been responsible for making the company the leader in gunshot detection, location, and forensic analysis. And most recently, he expanded the company’s portfolio with the acquisition of HunchLab technology from Philadelphia-based Azavea, which will enable the company to apply risk modeling and AI to help forecast when and where crimes are likely to occur and provide deterrence recommendations for specific patrol missions. Clark’s 30 years of corporate, financial, and organizational leadership has led to the company’s superior performance. His previous positions include serving as president and CEO at GuardianEdge Technologies Inc., leading its transformation into a leader in endpoint data protection before helping orchestrate its acquisition by Symantec, and chief financial officer at Snap Appliance Inc. Prior to his role at Snap Appliance, he worked at several VC-backed startups, leading a number of them to successful acquisitions. Early in his career, Clark, who holds a bachelor’s degree in economics from the University of the Pacific, and an M.B.A. from Harvard Business School, excelled in sales and marketing roles at IBM as well as served as an investment banker at Goldman Sachs & Co. L.L.C. and Merrill Lynch & Co. Inc., handling transactions involving tech companies. 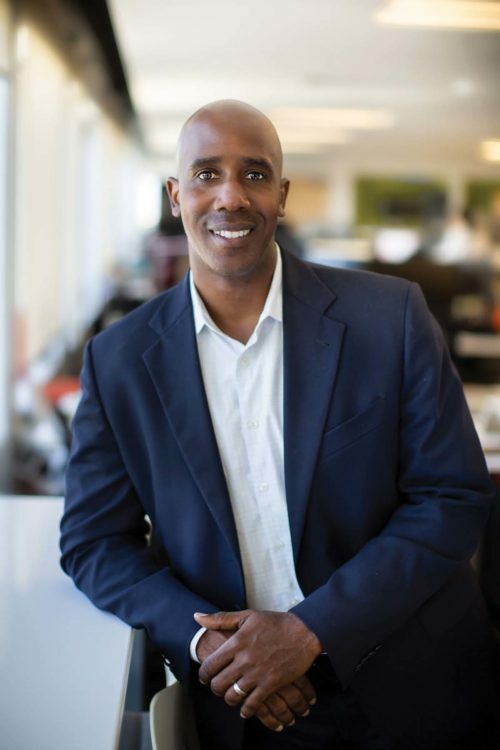 On the cutting edge of technology as chairman and CEO of Aeris, Marc Jones has led his team over the past decade to help power the world’s largest companies through the Internet of Things (IoT). Named by Goldman Sachs as one of the nation’s leading entrepreneurs in 2012 and 2013, Jones grew up in Chicago before heading west to Stanford University, where he received both his undergraduate and law degrees. As a young attorney, he was recruited by top-tier investment banks and then by some of his clients. In his early 30s, he was named president and COO of Madge Networks, where he helped turn the upstart network solutions company with $40 million in revenue into an industry leader producing revenue of $500 million. Madge’s initial public offering was successfully executed on Jones’ watch. After Madge, Jones served as the chairman and CEO of Visionael, a pioneer in enterprise network management and automation, raising over $40 million to fuel its rapid growth. 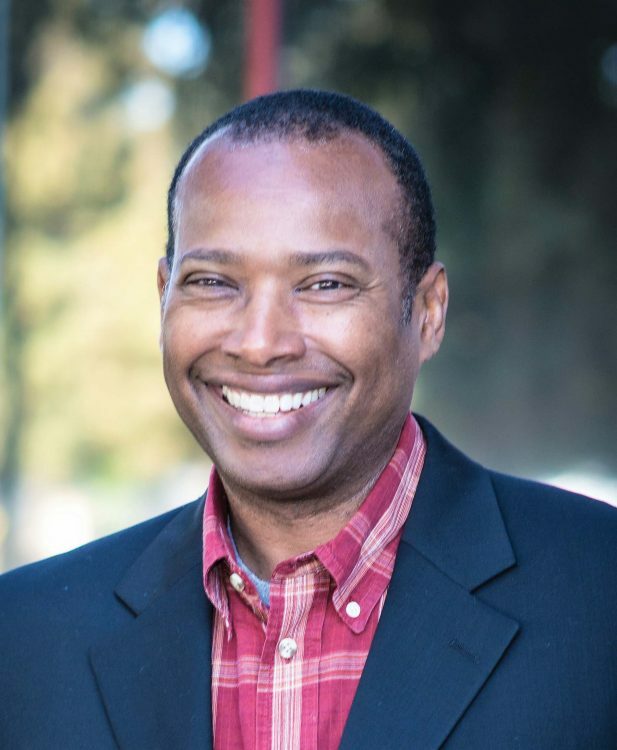 In addition to his professional work, he serves as the chair of Management Leadership for Tomorrow and a board member of the California Health Care Foundation and a trustee for Stanford University. A Silicon Valley heavyweight for more than three decades, Eric Kelly serves as chairman and CEO of Sphere 3D Corp., which delivers containerization, virtualization, and data management solutions via hybrid cloud, cloud, and on-premise implementations through its global reseller network and professional services organization. He has served as Sphere 3D’s chairman since July 2013, and gained the CEO position in 2014, after its merger with Overland Storage, the enterprise he helmed five years prior to the transaction. Under his leadership, net revenues of the publicly traded company increased to $81.5 million for FY 2017 and its portfolio of brands expanded to provide solutions for the healthcare, education, government, and financial services sectors. His previous positions have included vice president and general manager of Storage Systems Solutions at Adaptec Inc.; president and CEO of Snap Appliance; president of the Systems Division at Maxtor Corp., as well as various executive-level roles with Dell Computer Corp., Diamond Multimedia, Conner Peripherals, and IBM. His business acumen placed him in high demand in business and government circles. In fact, Kelly, who earned an M.B.A. from San Francisco State University and a B.S. in Business from San Jose State University, served two terms on the U.S. Department of Commerce’s Manufacturing Council, providing counsel to the Obama administration on strategies and policy recommendations to promote and advance domestic manufacturing. 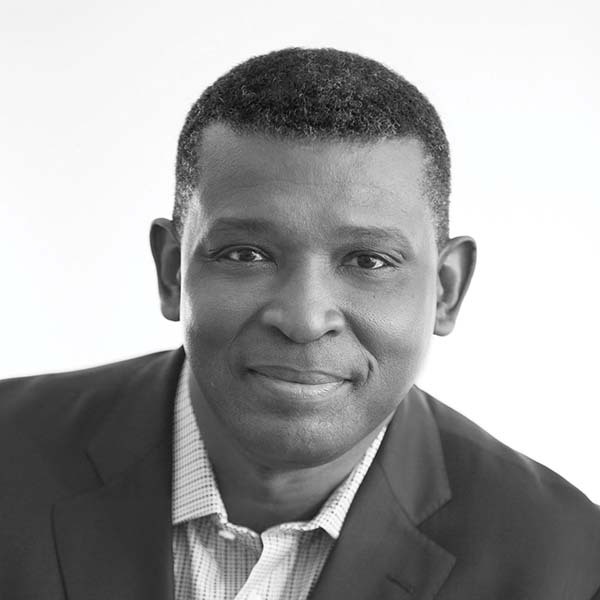 Having lived in the West African nation of Togo and France, François Locoh-Donou brings a unique global perspective to his leadership of Seattle-based F5 Networks Inc. Named president, chief executive officer, and a member of the board of directors in April 2017, he brought two decades of enterprise technology experience to the company, which specializes in application delivery networking technology. His prowess delivered record revenue for the publicly traded company of $2.1 billion in 2017. 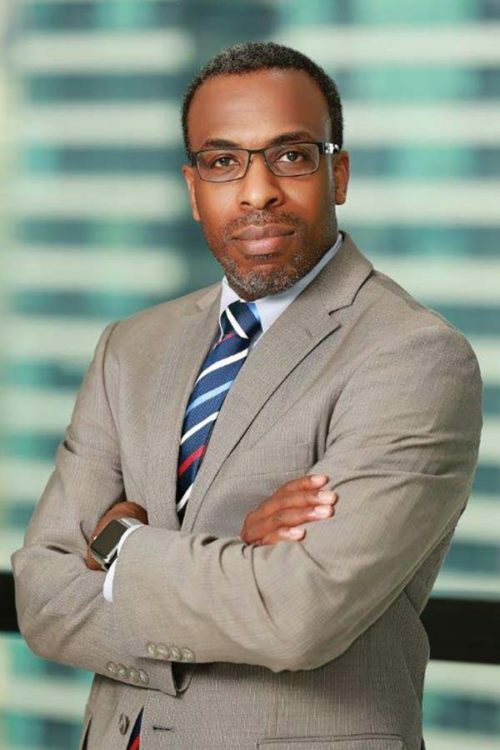 Locoh-Donou previously held successive leadership positions at Ciena, the network strategy and technology company, including chief operating officer; senior vice president, Global Products Group; vice president and general manager, EMEA; vice president, International Sales; and vice president, Marketing. Prior to joining Ciena, he held R&D roles at Photonetics, a French optoelectronics company. Locoh-Donou, who received his bachelor’s and master’s in physics engineering at École Centrale de Marseille; a master’s in optical communications from Télécom Paris Tech, and his M.B.A. from Stanford, serves on the advisory board of Jhpiego, a nonprofit global health affiliate of Johns Hopkins University. He is also the co-founder of Cajou Espoir, a cashew-processing facility that employs several hundred people in rural Togo, 80% of whom are women. Cajou Espoir exports more than 400 tons of cashew kernels annually to the U.S. and Europe. Charles E. Phillips has built Infor Inc. into a multinational tech powerhouse. As CEO of one of the world’s largest providers of enterprise software applications since 2010, he has been responsible for doubling the company’s revenue to $2.7 billion and size to more than 15,000 employees. It also became the first major software company to offer an integrated, end-to-end application suite for entire industries: the first Industry Cloud Company. Due to this phenomenal growth, Koch Equity Development, a division of Koch Industries, made a $2.5 billion investment in the firm last year. Phillips, who was named one of BE’s Most Powerful Executives in Corporate America has spent his career transforming companies with technology, industry domain, and unconstrained thinking. As such, the former captain in the Marine Corps.—who rose to become a managing director at Morgan Stanley and co-president and director of Oracle—has been highly sought after for service on boards, including Viacom Corp., Banco Santander, Apollo Theater, Business Executives for National Security, and Jazz at Lincoln Center. Phillips, who holds a bachelor’s degree from the Air Force Academy, an M.B.A. from Hampton University, and a law degree from New York University, serves as a member of the Council on Foreign Relations and was a member of the President’s Economic Advisory Board during the Obama administration. Rapid7 is one of the go-to companies for major corporations that seek to detect and respond to cyberattacks. Due to the leadership of Corey E. Thomas, its president and CEO, that reputation is well deserved. In fact, the Rapid7 Insight platform collects data from across a given company’s environment to enable teams to manage weaknesses, monitor user behavior, search logs, and other functions. It handles such services for more than 7,000 organizations—including Microsoft, Macy’s, Netflix, and Intuit—in more than 120 countries. Thomas is one of the leading experts in this arena: In 2018, he was elected to the Cyber Threat Alliance board of directors and the Massachusetts Cybersecurity Strategy Council. Having received a bachelor’s in electrical engineering and computer science from Vanderbilt University and an M.B.A. from Harvard Business School, Thomas has led an array of tech companies to the next stage of innovation. Before joining Rapid7, he was vice president of marketing at Parallels Inc., a virtualization technology company; and group project manager of Microsoft’s Server and Tools division, launching the worldwide availability of SQL Server 2005 and steering product planning for its data platform. In an era of cyberthreats, Christopher Young seeks to make the world more secure. As chief executive officer of McAfee L.L.C., he drives the company’s security business across hardware and software platforms and as a result, the firm generated 2017 revenues exceeding $3 billion. Through his leadership, McAfee protects mission-critical systems and data for a myriad of the world’s largest publicly traded corporations. Moreover, vast arrays of government agencies and non-governmental organizations as well as more than 400 million consumers rely on its cybersecurity solutions. Young’s expertise has been tapped at the highest levels of government and business. For instance, he serves as a member of the National Security Telecommunications Advisory Committee (NSTAC), which advises the U.S. government on national security and emergency preparedness. He also played a key role in the establishment and governance of the nonprofit Cyber Threat Alliance—a group of companies that share intelligence in this area. He can also be found on the boards of American Express and Snap Inc. Moreover, the Harvard M.B.A. served on the board of trustees of Princeton University, his alma mater. For years, Jessica Matthews has held a true passion for helping countries within the African continent. At the age of 22, the Nigerian-American innovator and entrepreneur created SOCCKET, a soccer ball that produced kinetic energy during play that could be used to power a lamp, cell phone, or other devices. The invention proved invaluable to Nigeria and other countries challenged by sporadic blackouts. In 2016, Matthews became the first black woman to raise $7 million in a Series A financing, which was led by the NIC Fund with participation from Kapor Capital, Magic Johnson Enterprises, BBG Ventures, and Lingo Ventures. 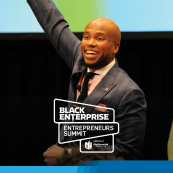 The Harvard grad has won over 25 awards, including being named the Black Enterprise Innovator of the year in 2013. Charley Moore was seeking to solve a huge problem for small businesses: an online service that would provide entrepreneurs with legal advice on an accessible and affordable platform. When he launched San Francisco-based Rocket Lawyer, Moore took a risk with his company in the beginning by offering free services. The move paid off: His venture went from 25,000 subscribers to over 1 million users. The company was growing so rapidly that the staff increased from 50 employees to 100 employees. Moore, a former internet law and business attorney for high-power Silicon Valley law firm Wilson Sonsini Goodrich & Rosati, received $40 million in venture funding from August Capital, Google Ventures (now GV), and Investor Growth Capital between 2009 and 2013 to finance the infrastructure and operations. Today, the United States Naval Academy and University of California at Berkeley law school graduate has transformed Rocket Lawyer into an evolving, global operation that has helped more than 20 million people with their legal issues, ranging from business incorporations to estate planning as well as created more than 100,000 business contracts a month. 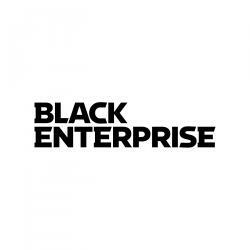 Rocket Lawyer has also been ranked among the be 100s, the nation’s largest black-owned businesses. Primus will continue to engage in similar partnerships with companies like motion seat maker D-Box Technologies, which helped introduce the company’s first original VR experience, an animated series, Raising a Rukus, as well as scout other family-friendly fare. His previous experience in senior-level roles such as COO of Overbrook Entertainment, director of Digital Media for Starbucks Entertainment, and group product manager at Microsoft has positioned him for such game-changing moves. 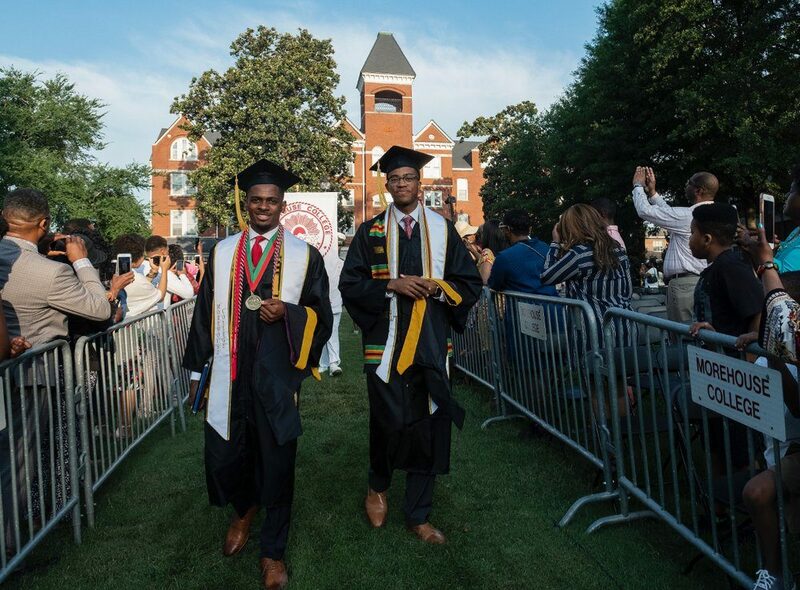 Primus, who received his bachelor’s and master’s in industrial engineering from Georgia Tech and an M.B.A. from Harvard Business School, will stay plugged into the latest tech developments: He’s also the chairman emeritus of the advisory board of top-ranked School of Industrial and Systems Engineering at his alma mater. 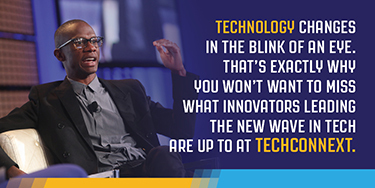 Through continuous innovation and forging partnerships with Cisco, Dell EMC, Microsoft, Hewlett Packard Enterprises and other tech giants, David L. Steward has built World Wide Technology into a force within the industry. In fact, he grew WWT from a small product reseller that he founded in 1990 into a technology solutions provider that can meet the networking, big data, IoT, security, and storage needs of large public and private organizations worldwide. 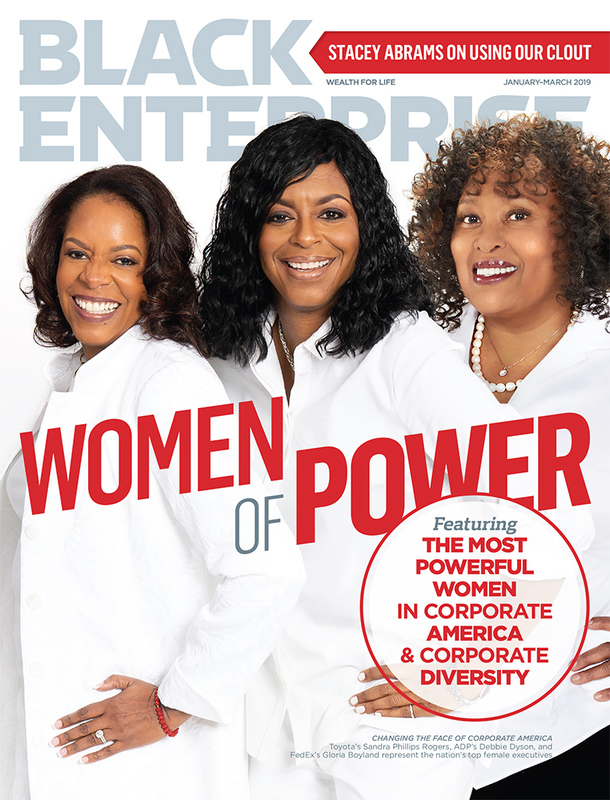 With $10.7 billion in 2017 revenues, WWT is the nation’s largest black-owned company and one of the biggest minority suppliers in the country. Maintaining that WWT is headquartered in “Silicon Valley in St. Louis,” Steward recently announced his company’s inclusion in Gartner’s August 2018 Market Guide for Digital Business Consulting Services “as one of the 20 Representative Vendors in DBCS across digital strategy, digital customer, and employee experience, and digital business model transformation.” To better serve customers, WWT created the Advanced Technology Center, a brick-and-mortar campus containing labs used for product demonstrations, proofs of concept, building reference architectures, and so much more. The Clinton, Missouri, native started his career in sales before launching WWT with less than 10 employees—now, WWT has 4,000-plus employees. Steward holds a bachelor’s degree from Central Mission State University. When Tyrone “Ty” Ahmad-Taylor took on the position as Facebook’s vice president of Product Marketing, members of the leadership team viewed the addition as a “big win” for its monetization strategy. In his role, he leads a team of 300 professionals engaged in product management and strategy, go-to-market plans, and financial analysis to both the advertising engineering organization and financial analysis teams—vital to the tech leader that produced 2017 global revenues of $40.7 billion. When Facebook selected Ahmad-Taylor, the company recruited C-suite material: he previously held the position of president and CEO of THX Ltd, the innovative audio-visual company founded by Star Wars creator George Lucas. One of his groundbreaking projects was launching THX Live! during the debut of Beyoncé’s Formation World Tour. The Haverford College graduate with a B.S. in economics and an M.S. in journalism from Columbia University has also held the position of vice president of SmartTV Services at Samsung, directing global teams in the U.S. and Korea. The innovator is also founder of FanFeedr, a service he operated to provide statistics and data to sports fans, which he sold to Samsung Electronics. As an inventor, he has several patents, including a design for a system providing on-demand viewing for Comcast, and a patent for a set-top box. He was recently appointed to the board of directors of GoPro, the digital camera producer, and continues to serve as a member of the boards of Industry Leaders for the Consumer Technology Association and not-for-profit Urbanworld Film Festival. 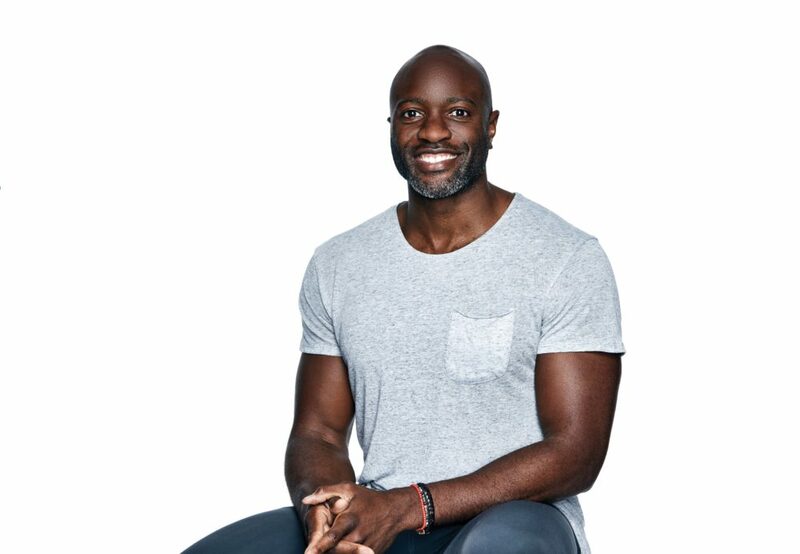 Ime Archibong is the go-to executive to develop Facebook’s most valued strategic alliances, product integrations, and new commercial opportunities across a variety of sectors. The tech executive began his career at Facebook in November 2010 as director of partnerships, leading the team to accelerate and drive the tech giant’s product and strategies to various businesses around the world. Since he came aboard, his role has become more expansive. Beyond media, music, and video partnerships, he travels the globe to find new means to connect millions worldwide through platforms like Facebook Groups and Messenger and initiatives to support its community of more than 9,000 developers as well as a multitude of small businesses. Nigerian-born Archibong is extremely passionate about spreading awareness about diversity within the tech industry. He attended Yale University and studied electrical engineering and computer science. Determined to be an engineer, he gained his first opportunity at IBM and focused on licensing its global portfolio of storage research technology. After working several years at IBM, he was recruited to work at Facebook, developing strategies to help the world connect to the internet. Due to his influence and reach, Archibong, who also holds an M.B.A. from Stanford, has been recognized among the 40 under 40 Top Diverse Talent in Silicon Valley by theREGISTRY Bay Area and Digital Diversity Network. 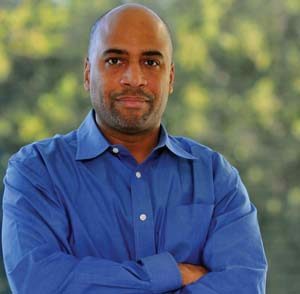 Marc Brown represents one of the executives who powers the strategic direction of Microsoft. An 18-year veteran of the tech giant, which produced $110 billion in FY 2018 revenues, he oversees mergers and acquisitions and strategic investments. During his tenure, he has led more than 100 transactions collectively valued at more than $16 billion, including the acquisitions of Fast Search and Transfer, Tellme Inc., Danger Inc., Frontbridge, Softricity, and Massive Inc. Prior to his role at Microsoft, Brown worked as a corporate lawyer at Boston-based Global 50 law firm Goodwin Procter L.L.P. as an associate in its corporate group, representing venture capital and private equity firms in structuring, analyzing, drafting, negotiating, and closing leveraged buyouts, recapitalizations, and early and later-stage venture investments for clients such as Alta Communications, TA Associates, Summit Partners, Great Hill Partners, and eCOM Partners. Brown, who received his bachelor’s degree from Colgate University, an M.B.A. from New York University’s Stern School of Business, and a law degree from Georgetown University, had a previous stint as an investment banker at UBS. Stacy Brown-Philpot continues to be the transformative force behind TaskRabbit, a “gig economy” leader that hires freelancers for odd jobs or “Taskers” and matches them with clients. As CEO, Brown-Philpot has expanded the company’s footprint by expanding its Tasker pool to more than 60,000, raising growth capital, and developing business-building partnerships like the one it struck with tech behemoth Amazon. Last year, however, she closed a masterstroke of a deal: Swedish home products retailer Ikea acquired TaskRabbit, which now operates as an independent subsidiary. The transaction gave TaskRabbit additional resources and heightened global branding—it has already doubled its scope to 40 markets in the U.S.—while Ikea gained a much-needed digital platform and expertise. Synergies, however, are readily apparent as Ikea promotes the fact that Taskers are on hand to provide furniture assembly, among other services. After graduating from the University of Pennsylvania, Brown-Philpot never envisioned being a part of the Silicon Valley ecosystem. 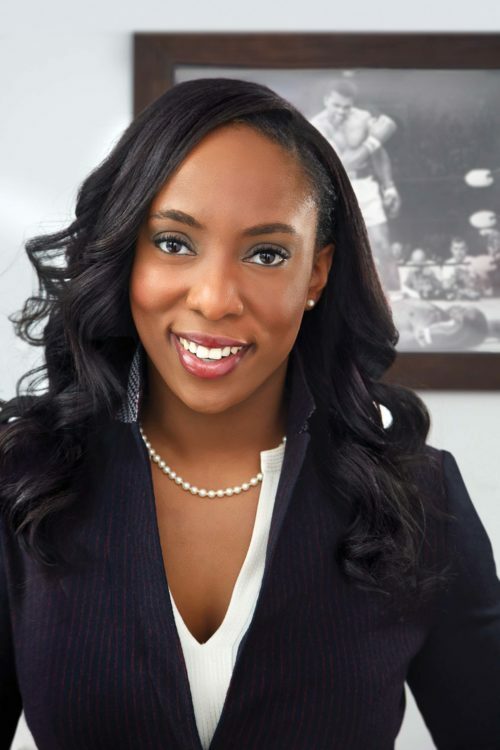 The Detroit native started her professional career as an accountant at PricewaterhouseCoopers and then took a job as an investment banker at Goldman Sachs. While working at the financial giant, she had the opportunity to work on tech deals. Intrigued by the growth in the industry and booming IPO activity, she attended Stanford Business School. After earning her M.B.A., she landed a role at Google. Her nine-year stint there provided the opportunity to work in India and launch Black Googlers Network, an employee resource group. A member of the be Registry of Corporate Directors, Philpot-Brown also sits on two corporate boards—Nordstrom and HP Inc.—and nonprofit Black Girls Code. A seasoned Silicon Valley executive, Sam Bright has more than 14 years of experience in the tech space that made him well-equipped to lead the multibillion-dollar Soft Goods business unit at eBay North America. As such, he oversees the sale of an eclectic mix of merchandise: Art & Collectibles, Media, Toys & Lifestyle, Sporting Goods, and Soft Home. His expertise spans across a range of disciplines, including strategy, investment banking, corporate development, market research, and P&L ownership. Since joining eBay six years ago, Bright has built an impressive portfolio and generated momentum via programming with brands like Marvel, StubHub, and Verizon. He previously led eBay’s Art & Collectibles platform with more than 50 million listings, ranging from rare comic books and high-end antiques to cryptocurrencies and sports memorabilia. In 2017, his leadership grew it into a multibillion-dollar category at the e-commerce enterprise. Prior to that role, the Taylor University and Harvard Business School graduate led and scaled the Strategic Partnerships/Business Development team for eBay’s $30 billion Americas business, where he inked over 70 product, vertical, mobile, marketing, and data partnerships over the course of two years. He also currently serves on the board of directors at Benetech, a Palo-Alto, California-based nonprofit that develops and uses technology to drive positive social change. 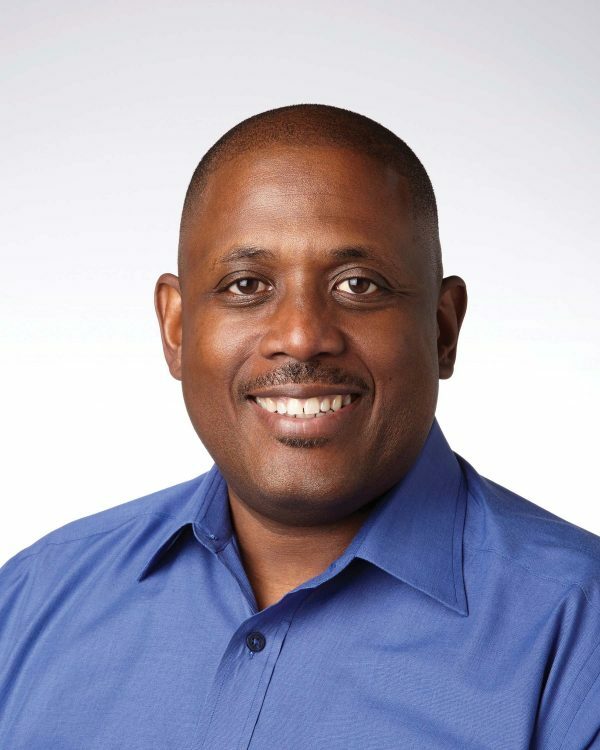 As Senior Vice President and Chief Procurement Officer, Craig Cuffie oversees Direct and Indirect Sourcing, Procurement, Shared Services, Supplier Diversity and Data Center Fulfillment at Salesforce, the leader in customer relationship management software in the “cloud.” In that role, he and his team manage $3.5 billion of procurement spend, as Salesforce seeks to reach its revenue growth target of more than $20 billion. Cuffie is a veteran who has been engaged in an array of assignments in the tech space. Before joining Salesforce, he served as managing director at Eagle Island Advisors, a boutique private equity firm focused on sourcing lower mid-market opportunities in the third-party logistics industry. Moreover, he’s held various senior management roles throughout the years at revolutionary companies including Jawbone, Clearwire, and Intuit. Cuffie has over 18 years of experience in aerospace and high technology companies, most notably with Quantum Inc., Lam Research Inc., and United Technologies Corp. Over time, Cuffie achieved several leadership roles in general management, business development, program and project management, manufacturing, and supply chain. Cuffie is a member of the Executive Leadership Council, the Stanford Global Supply Chain Forum, and the Institute for Supply Management. As an adviser to numerous Silicon Valley startups, Cuffie offers coaching to help build their business. He received his master’s degree in management from Rensselaer Polytechnic Institute. 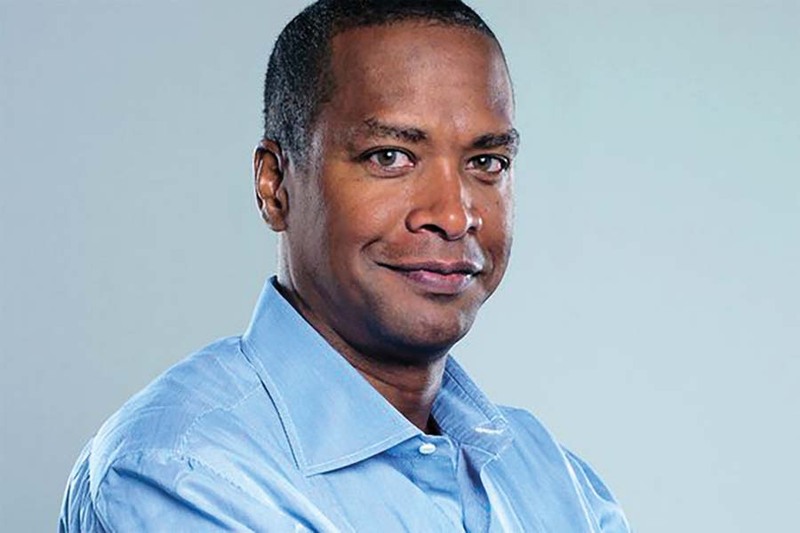 David Drummond represents the legal powerhouse behind Alphabet Inc. and is considered one of the most powerful executives in the tech industry. In fact, Drummond, a former partner of the premier tech law firm Wilson Sonsini Goodrich & Rosati, played a major role in the transformation of how the world shares information, serving as Google’s first outside counsel and working with founders Larry Page and Sergey Brin to incorporate the company and secure its initial rounds of financing. 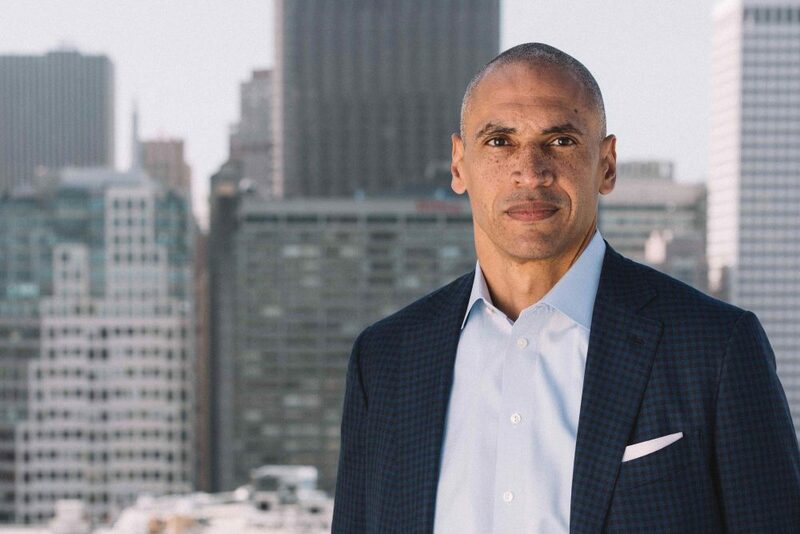 The senior vice president of corporate development and chief legal officer seeks to protect the firm in legal battles, whether dealing with Uber or the European Union, as well as oversees its investment vehicles GV (formerly Google Ventures), which led the $6.5 million Series A round financing in Blavity earlier this year, and Capital G, which has Airbnb, Snap Inc., and SurveyMonkey in its portfolio and made a $1 billion investment in the ridesharing company Lyft last year. 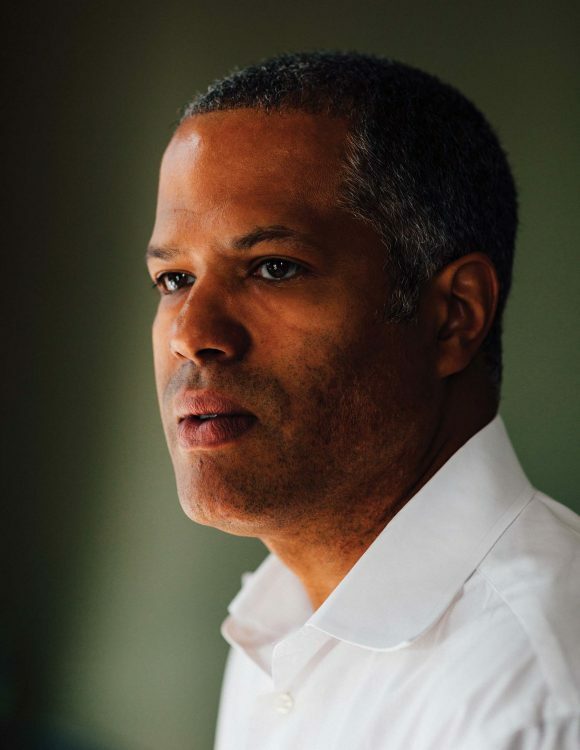 He has also personally invested in ventures such as Ozy Media, co-founded by former CNN journalist Carlos Watson and serves on the board of Rocket Lawyer. 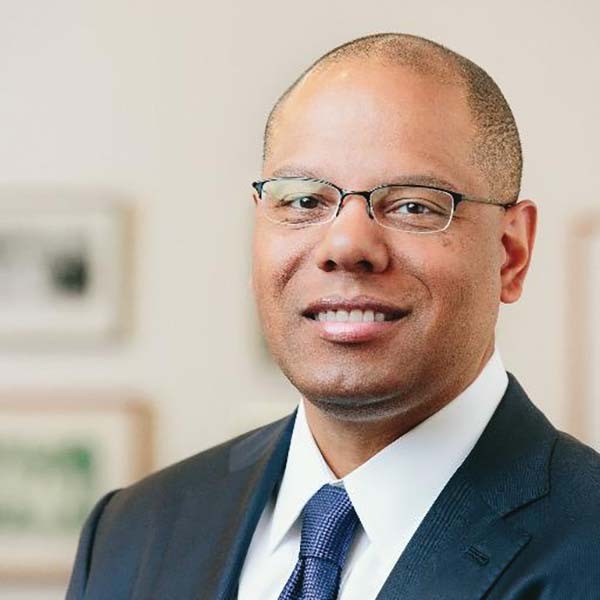 One of be’s Most Powerful Executives in Corporate America, Drummond is an independent corporate director on the board of KKR, the nation’s largest private equity firm. Drummond, a graduate of Santa Clara University who holds an M.B.A. from Stanford, helped initiate the company’s $32 million-plus racial justice portfolio. In April, he spoke at the Vera Institute Gala on the importance of criminal justice system reform: “If you don’t have the data, you will never change them.” Drummond also played a role in kick-starting the Hidden Genius Project with a $1 million grant as a means of getting more young black males connected to tech. In 2017, he visited Chicago to present a $1.5 million grant to native Chance the Rapper’s nonprofit and a few other organizations to help students. 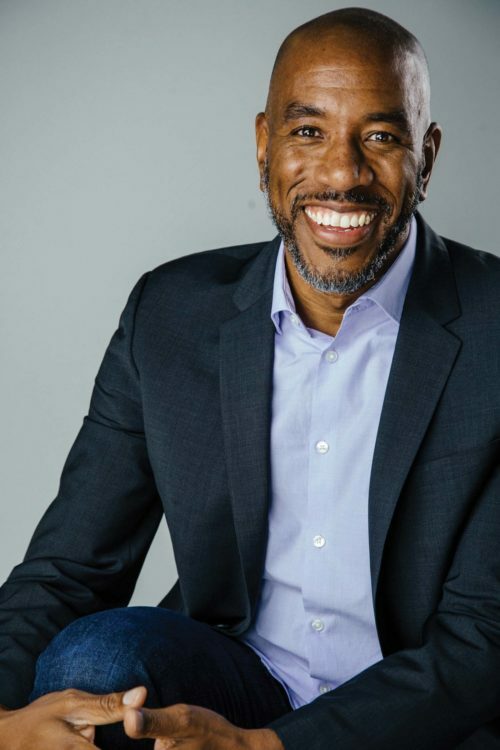 In his current role, Malik Ducard oversees and drives business development efforts for the platform’s family, entertainment, and educational partnerships and programming. This innovator joined YouTube almost eight years ago, earning the reputation for dynamic, decisive leadership that fuses tech, business, user, and social interests. A huge literacy advocate, Ducard launched the YouTube Kids app and YouTube Learning, an effort designed to expand and enhance education on the platform. Under his stewardship, YouTube recently announced a $20 million investment in educational videos with topics ranging from school subjects to cooking, and will soon roll out the YouTube Learning Fund focused on investing in educational content creators, aka EduTubers. Moreover, he has also helped launch #YouTubeBlack, a creator-driven movement aimed at spotlighting and supporting black creators on the platform. A Columbia University graduate, with an M.B.A. from the University of California, Los Angeles, Anderson School of Management, Ducard currently serves on the board of the Digital Diversity Network, a nonprofit trade association whose mission is to advance diversity, create access, and champion inclusion within the digital and technology sectors, and as board president of LA Makerspace, a nonprofit organization that brings STEAM (science, technology, engineering, arts, mathematics) education to Los Angeles students. 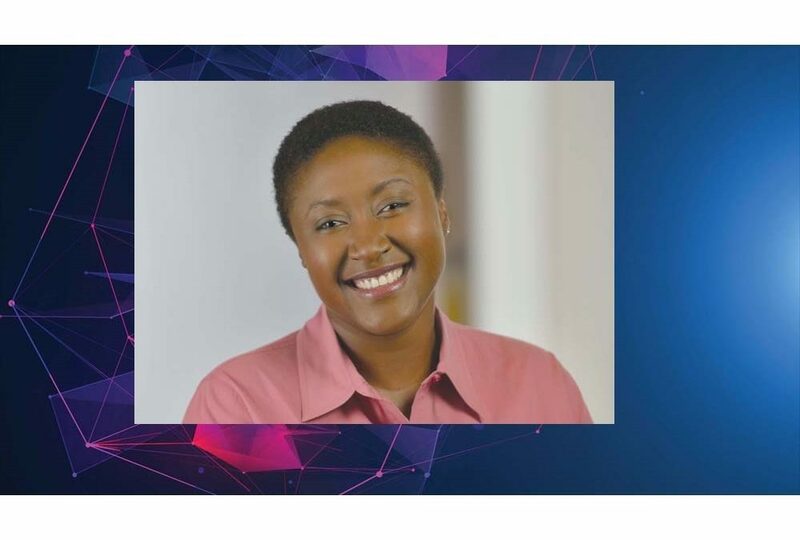 As Senior Vice President and Chief Strategy Officer at Intel Corp., Aicha S. Evans leads Intel’s efforts to convert from a PC-centric company to a data-centric juggernaut. Selected one of be’s Most Powerful Executives in Corporate America, Evans manages the companywide execution for the enterprise that generated 2017 revenue of $59.4 billion. 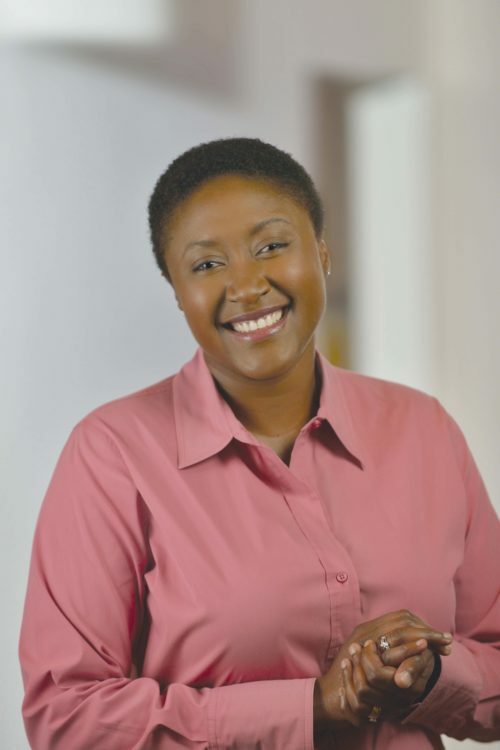 Evans started her career at Intel in 2006, as a software integration and test manager. Over the years, she has held numerous management positions responsible for Intel’s wireless efforts, including software engineering and support for customers deploying WiMAX networks in various parts of the globe. Evans also managed Wi-Fi engineering and product lines in Israel. 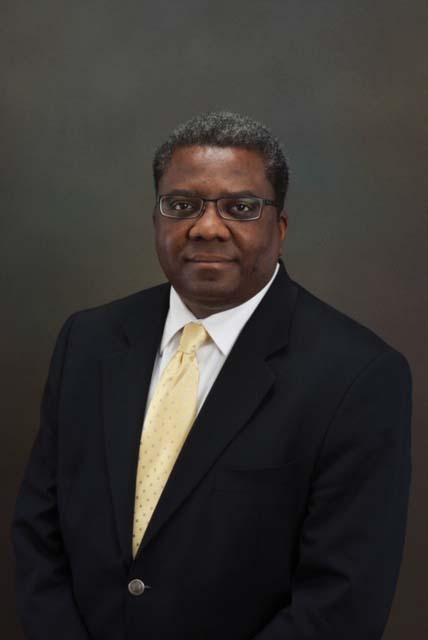 Evans has also served as general manager of Wireless Platform Research & Development Group. Prior to Intel, The George Washington University graduate with a bachelor’s in computer engineering gained a decade of tech management experience in numerous roles at Rockwell Semiconductors, Conexant, and Skyworks. Evans serves as a member of the Supervisory Board at SAP SE and has served as an independent director of Autoliv Inc. from February 2015 to May 2017. 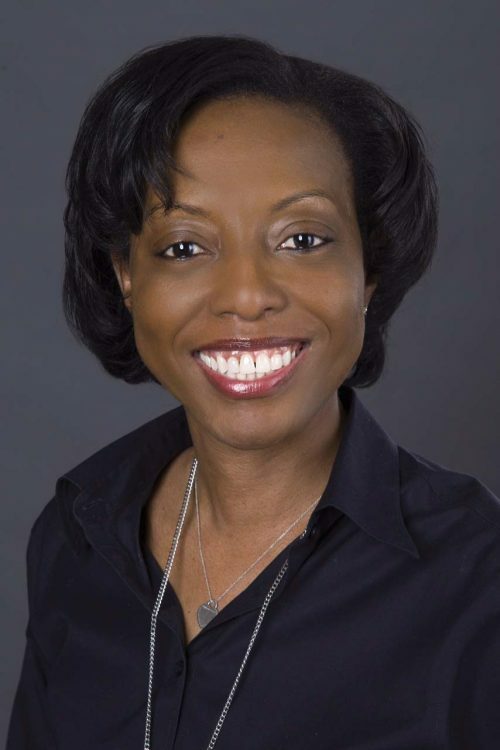 Ehrika Gladden leads Cisco Refresh, the global organization for the $250 million business unit Cisco Capital. Her responsibilities include managing the delivery of the profit and loss for sales, marketing, channels, operations, and supply chain. She is also responsible for identifying growth opportunities in the multibillion-dollar remanufactured equipment market and defining the growth strategy for this next-phase startup business. Her prowess and track record have earned her recognition and respect as an outstanding industry leader. Known as a global turnaround specialist and market disruptor, Gladden has successfully applied her commercial expertise in a range of international markets, including Europe, Africa, Middle East, Asia, and Latin America. Prior to this role, she served as vice president for market strategy in Cisco’s $19-billion Enterprise Networking Business Unit, identifying core growth markets for the worldwide IT and networking leader. This strong advocate for inclusion built a program to attract, retain, and promote diverse talent. As such, the initiative has resulted in three times the promotion rate for program participants and earned her multiple awards for inclusive leadership development. 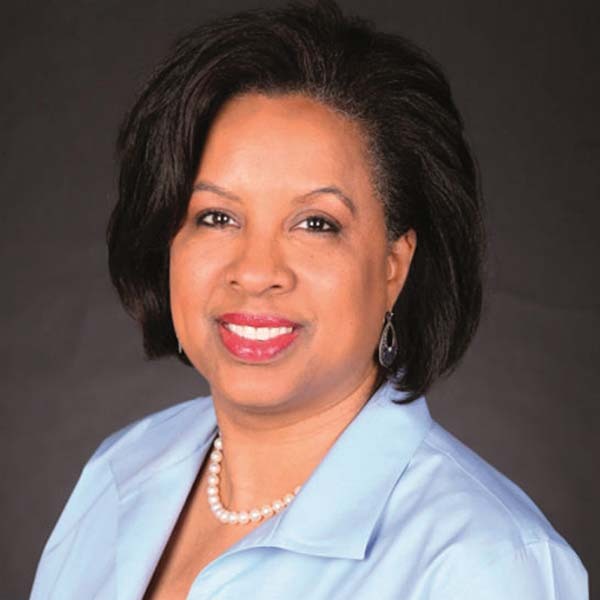 Gladden, who graduated from the University of North Carolina – Chapel Hill, currently serves as a Cisco Foundation Trustee and director for the Pennsylvania Women’s Conference Board. She is also a member of the Executive Leadership Council, the preeminent organization for black senior executives. 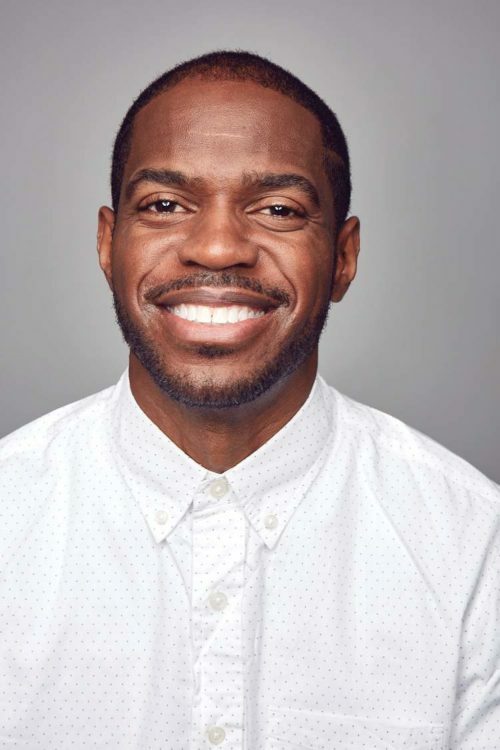 As Head of Cultural Partnerships at Spotify, one of Xavier “X” Jernigan’s current responsibilities is to engage students via Spotify’s Opening Act HBCU Conference as a means to recruit top talent to the music streaming service from within the African American and LatinX communities. It’s a symbiotic process, as the conference provides students with varied opportunities, allowing them to see the value of applying their soft and hard skills to increase their advantage in the tech, music, and media industries. 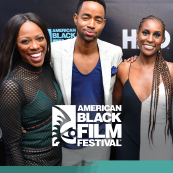 Prior to this role, the Florida A&M University graduate served as Head of North America, Shows & Editorial at Spotify where he oversaw music programming and curation for the USA and Canada. 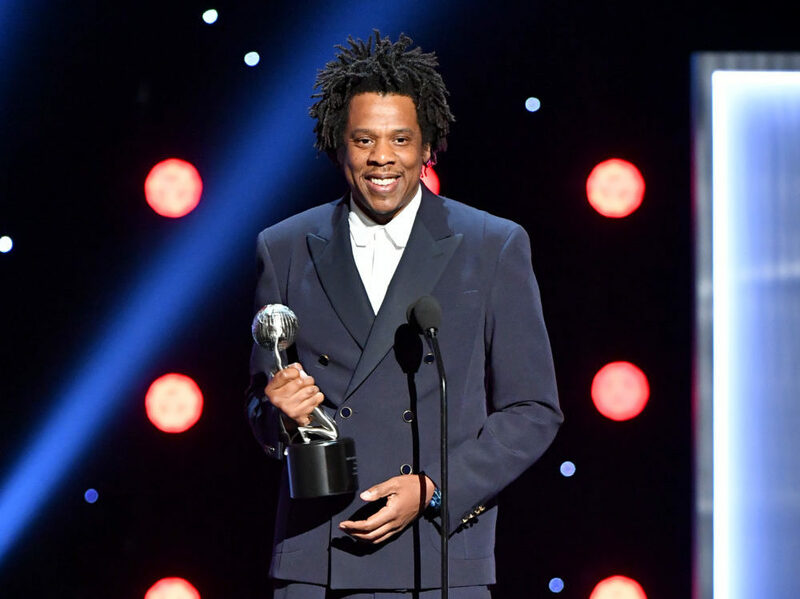 A pop culture expert, he was recently installed on The Kennedy Center’s Hip Hop Culture Council, a new initiative to help expand its presence at the institution and deepen public knowledge of the genre. He’s also the host of “Showstopper,” a Spotify original podcast about memorable music moments in film and television. 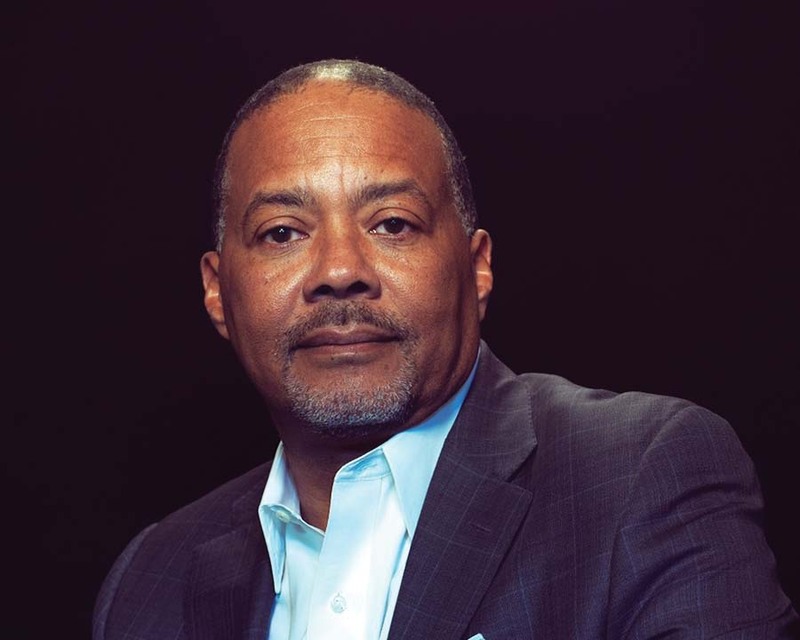 Arthur Johnson takes point for corporate strategy and mergers and acquisitions activities, building a deal-making team that helps drive the growth of Pure Storage, the data storage leader that produced more than $1 billion in FY 2018 revenues. He orchestrated the first-ever M&A deal for the Mountain View, California-based company, completing the acquisition of StorReduce, a cloud-first software-defined storage solutions firm, in August. 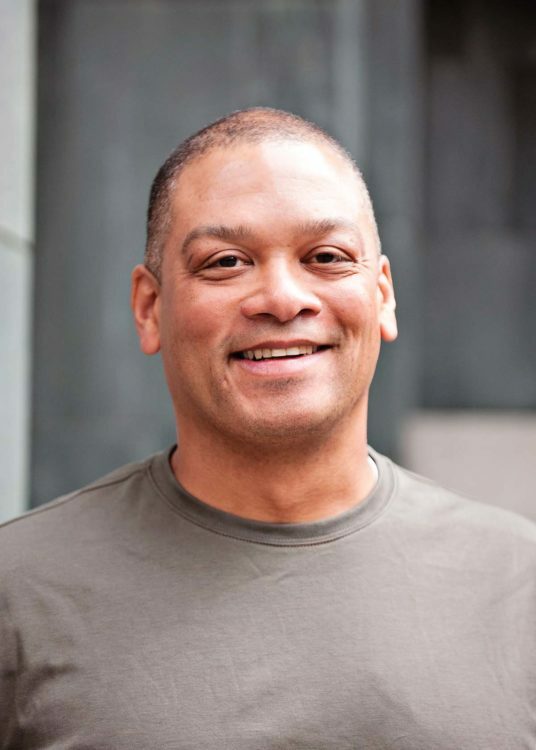 Prior to this current position, Johnson drove inorganic growth at Twilio, a cloud communications platform, as vice president of Strategy, Corporate Development and Global Partnerships, and Managing Partner of TwilioFund. His previous roles include serving as operating partner at VC powerhouse Andreessen Horowitz, chief operating officer for Cisco WebEx and vice president, corporate development at Intuit. He also led Hewlett Packard’s Software Division’s Strategic Planning group. This 20-plus year expert in strategy operations, M&A, business development, and finance received his bachelor’s degree from California State University-Los Angeles and an M.B.A. from Stanford University Business School. He launched his career in investment banking at Goldman Sachs, before engaging in a range of tech sectors such as big data, mobile and security, and application programming interfaces (APIs). Knight—a licensed professional engineer and certified project management professional with a master’s degree in information networking from Carnegie Mellon University and a bachelor’s degree in electrical engineering from Florida State University—also has two patents under her belt: Systems for Use with Multi-Number Cellular Devices and Messaging Forwarding System. She received the Black Engineer of the Year President’s Award in 2013, and Women of Color Professional Achievement Award in 2014. 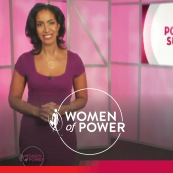 This innovator has also invested her time nurturing the careers of women and minorities both internally and externally. She sits on the boards of the National Action Council for Minorities in Engineering and After School Matters. 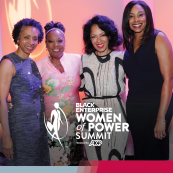 She also served as co-founder and national advisor of AT&T Women of Technology as well as a national board advisor for oxyGEN, an AT&T employee resource group that seeks to attract, develop, and retain young professionals. 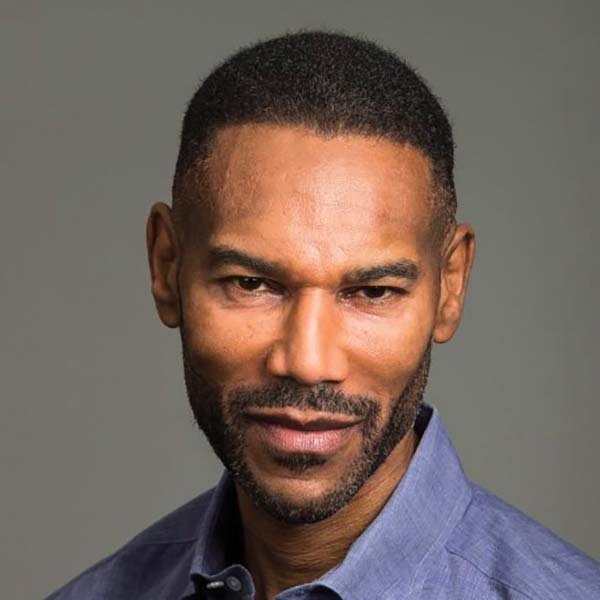 Tony Prophet helps accelerate overall corporate strategy as chief equality officer at Salesforce. 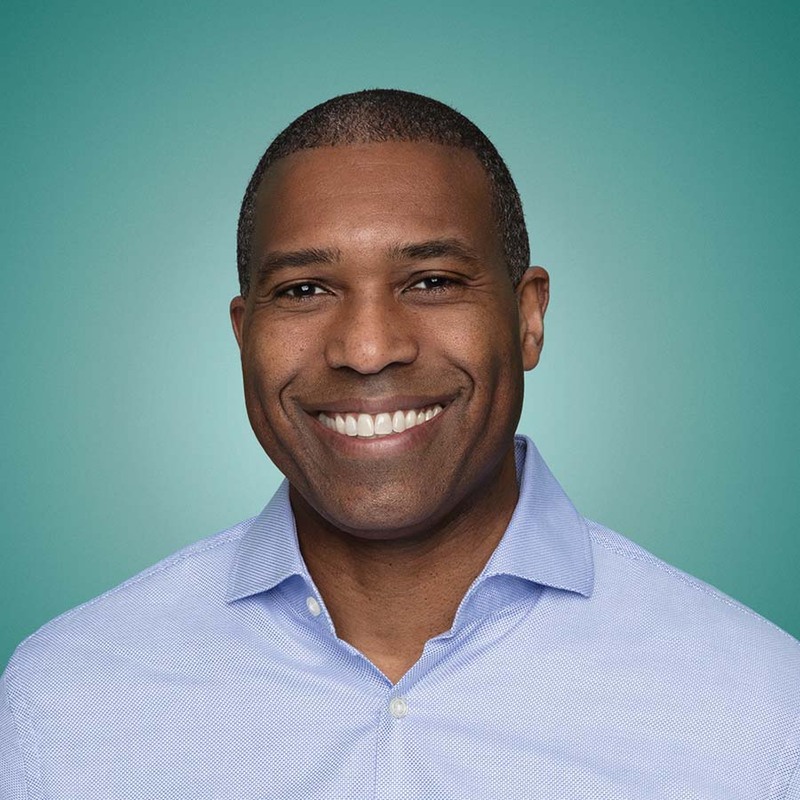 A member of the leadership team, he drives equality initiatives with a focus on LGBTQ and racial equality for the company that reported 2017 revenues of $8.4 billion. Prophet also directs its Ethical & Humane Use of Technology Innovation, ensuring optimal customer experience as well as igniting positive social change. As such, he reports directly to Chairman and co-CEO Marc Benioff. Realizing that people are the true drivers of innovation, Prophet has been a tireless advocate for defending the rights of young workers, providing information on women’s health issues for female employees, and improving education for migrant workers’ children among other issues. His technical and P&L background, however, has been critical in preparing him for his current position. Prior to coming aboard Salesforce, Prophet was a corporate vice president at Microsoft, where his team initiated the Windows 10 Go to Market and Launch planning. After the release of Windows 10 in 2015, it garnered more than 200 million users within six months, gaining the reputation as Microsoft’s most prosperous and fastest-growing operating system. 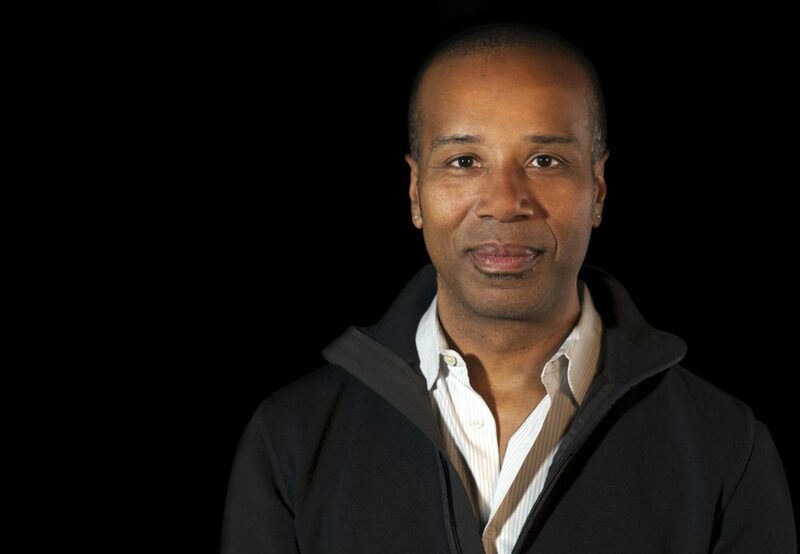 At the time, he served as co-executive sponsor of Blacks at Microsoft and founding executive of BlackLight, an organization empowering black marketers at Microsoft. Hewlett Packard Enterprise appointed him senior vice president, Supply Chain Operations Personal Systems in 2006, and then six years later, he assumed the role of senior vice president, Operations, Printing & Personal Systems. In 2013, HP PC and Printing Operations delivered more than 100 million units, generating $55 billion in revenue and $4.8 billion in operating profit while serving as a principal driver of HPE’s $11.6 billion of cash from operations. 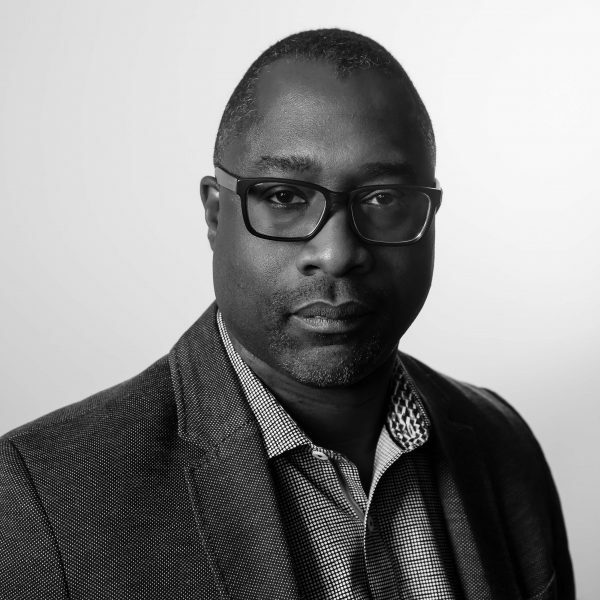 In his role, Troy Richardson focuses on alliance-driven enterprise solutions and next-generation cloud applications to help clients modernize and design intelligent back-office processes. The 2017 merger of CSC and the Enterprise Services business of Hewlett Packard Enterprise spawned this $25 billion global end-to-end IT services leader. Richardson’s division is critical as DXC develops partnerships, offers guidance, and provide tools that enable customers to make decisions more efficiently as well as execute digital transformation strategies. 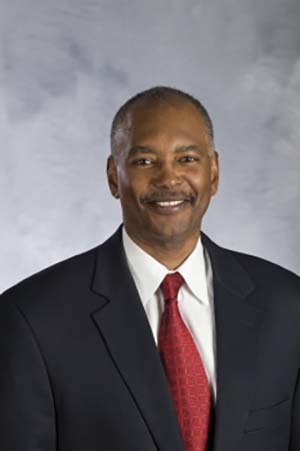 In his previous role, Richardson served as CSC’s general manager/global sales leader, responsible for all aspects of sales, including operations and strategic alliances. Over the past decade, Richardson gained valuable management experience and industry contacts key to his current assignment. In 2007, he served as head of Xiocom Wireless Inc. before serving as president of Novell Americas, overseeing its sales and consulting business across the U.S., Latin America, and Canada. Prior to DXC, he held the position of senior vice president of Global Alliance Sales for Oracle in which he managed $2 billion in strategic partner sales for Oracle’s Diamond System Integration Partners and delivered triple-digit year-on-year growth in cloud revenues. He was also responsible for the growth of enterprise and mid-market segment as senior vice president of Global Cloud Sales for E&C at SAP, and bolstered sales from top global clients in manufacturing, energy, oil and gas, among others, as vice president and general manager of Global Account Sales at HP. Scott Taylor began his career at Symantec in 2007, and quickly moved up to general counsel in 2008. In his current role, he leads a global team of 143 professionals for the software giant and oversees its intellectual property portfolio, government affairs, public policy, corporate responsibility, and philanthropic work. The Stanford University and George Washington University Law School graduate has gained vast experience working at other tech companies including Phoenix Technologies Ltd. He was previously chief administrative officer and senior vice president of Phoenix Technologies Ltd. and vice president and general counsel of Narus Inc. Besides demonstrating superior legal chops for the company that generated $4 billion in 2017 revenues, Taylor is a staunch advocate of corporate diversity, pushing for more black talent at Symantec and within the tech sector as a whole. For instance, he serves as the executive champion and sponsor of SyBER, Symantec’s Black Employee Resource Group. He also sits on the corporate board of Piper Jaffray and a national advisory board of the Stanford University Center for Comparative Studies on Race and Ethnicity. Toni Townes-Whitley leads the U.S. sales strategy for driving digital transformation across customers and partners within the public sector and regulated industries. 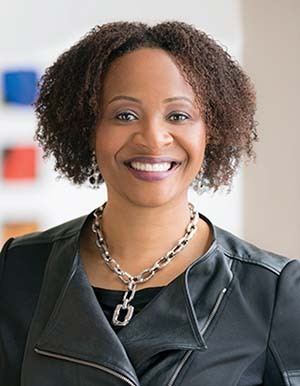 She’s the highest-ranking African American female executive at Microsoft with responsibility for approximately $11 billion P&L and 2,000-plus sales professionals. As such, she has developed a strong, undisputed track record for accelerating profitable business performance and building high-performance teams. Her organization is responsible for executing on Microsoft’s market-focused strategy related to the U.S. public sector and regulated industries, including education, financial services, government, and health. 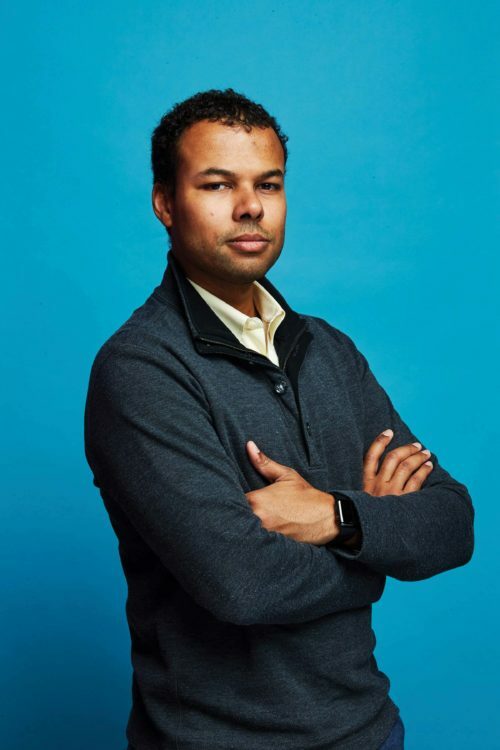 In addition to leading this team, Townes-Whitley drives the formation of Microsoft’s worldwide AI National Plans and represents the global salesforce on the tech giant’s Aether Committee (AI and Ethics in Engineering and Research), which recommends policies and procedures to address the implications of AI on society. 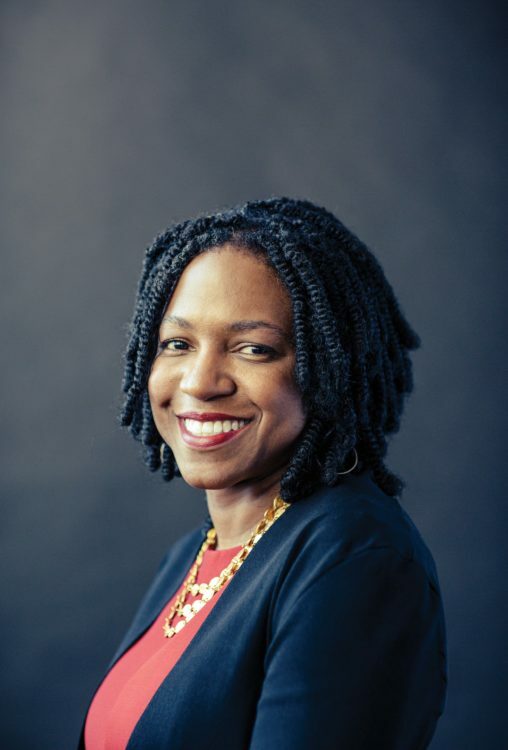 The Princeton University’s Woodrow Wilson School graduate also serves as a co-executive sponsor for the Blacks and Africans Employee Resource Group at Microsoft; an adviser to the Women’s Center of Northern Virginia; and a past president of Women in Technology. 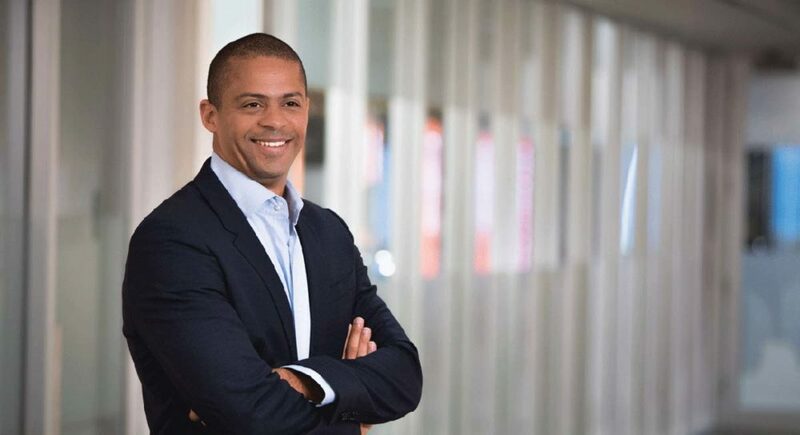 As senior vice president and general counsel at PayPal, Walcott has been responsible for building a legal team of more than 170 professionals across the globe. As such, she directs them to tackle legal issues in more than 200 markets, dealing with an expansive regulatory environment in the U.S. and abroad given the San Jose-based online payment company’s innovative thrust. Since joining PayPal in 2015 as vice president of Legal Product, she has risen up the ranks to become the company’s first African American general counsel. A member of the company’s executive leadership team and industry influencer, Walcott was also named one of be’s Most Powerful Executives last year. These days, she has also been focused on identifying initiatives to foster a more diverse and inclusive corporate culture. As such, her staunch advocacy in this area has recently been making headlines. 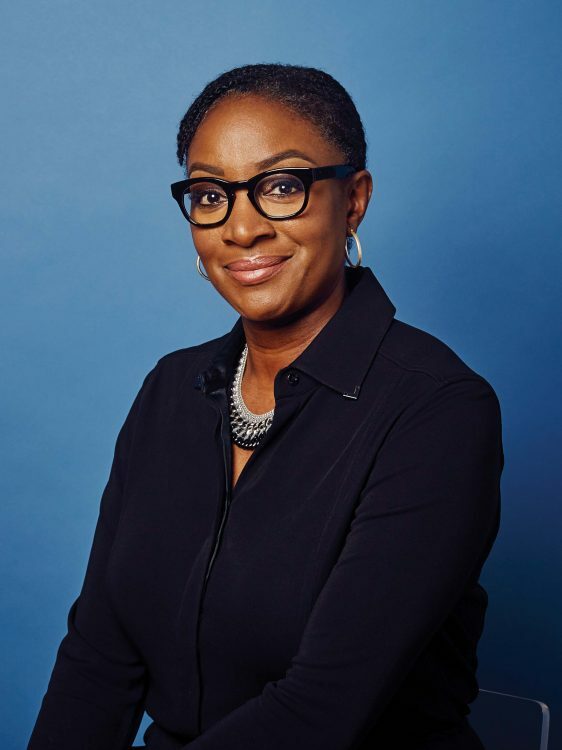 In fact, she serves as the executive sponsor for PayPal’s women’s interest network, Unity, and helped launch Amplify, PayPal’s black employee network. Walcott has more than 20 years of legal experience, particularly in fintech and payments law. Prior to PayPal, Walcott, who holds a bachelor’s and a law degree from Howard University and law school graduate served as senior vice president and managing counsel at American Express Co. At Amex, where she worked as lead counsel for its Enterprise Growth Group, developing the global strategy to expand emerging and digital payments services. She is also a member of the Executive Leadership Council. Edward Ward leads a worldwide team of engineers and technical professionals who handle engineering and development of commercial PCs and workstations, consumer PCs, platform software, data security software, and IoT solutions. 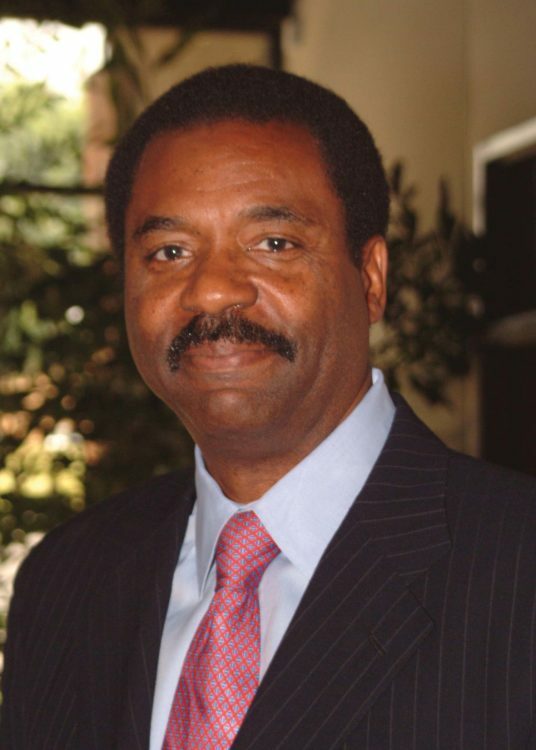 A member of be’s Most Powerful Executives in Corporate America, Ward gained decades of management experience before tackling his current position. At NCR Corp, he held the position of vice president of Engineering Shared Components & Technical Services, responsible for worldwide engineering and development of the hardware, firmware, and software drivers for shared components across NCR’s financial, retail, and travel lines of business. As vice president of Engineering Technical Services & NCR University Relations from November 2009 to May 2011, he focused on cost reduction, field quality improvement, and enhancing design review processes across all of NCR’s product lines. Ward also maximized NCR’s University Relations program to develop and encourage technical collaboration, R&D, internships, and community outreach programs to fundamental research and engineering institutions. 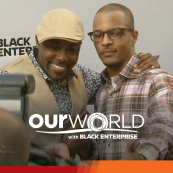 Committed to inspiring African American youth’s interest and engagement in STEM education, Ward is a member of the local chapter of the National Society of Black Engineers and executive sponsor at Dell for the national organization. As chief legal officer at Uber, West leads a global team of more than 500 in the company’s Legal, Compliance and Ethics, and Security functions. With more than 20 years of experience in the public and private sectors, West joined Uber as the peer-to-peer ridesharing company dealt with major reputational challenges. 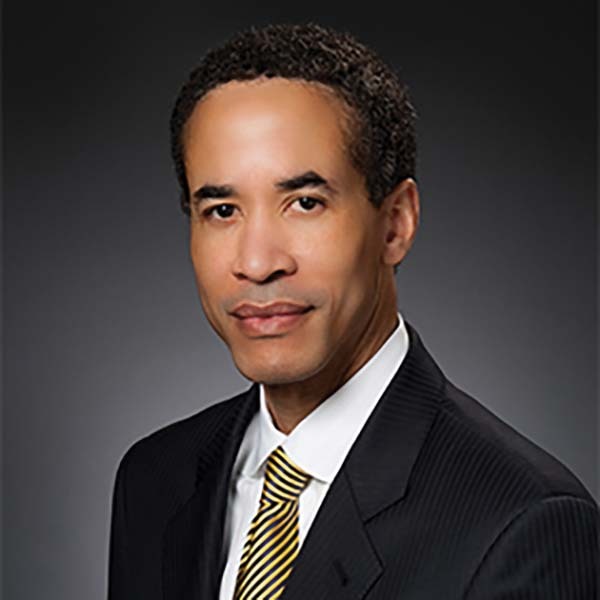 He previously served as corporate secretary and executive vice president of Public Policy and Government Affairs of PepsiCo, where he prioritized diversity and ethical practices and led PepsiCo to be named one of the most ethical companies by the Etisphere Institute 10 years in a row. From 2012 to 2014, the Obama administration appointee served as Associate Attorney General of the United States, the third highest-ranking official in the U.S. Department of Justice. In that role, he supervised the department’s Civil Rights, Antitrust, Tax, Environment and Natural Resources, and Civil Divisions, as well as the Office of Justice Programs, the Office on Violence Against Women, and Community Oriented Policing Services Office. From 2009 to 2012, he was Assistant Attorney General of the Civil Division, the largest litigating division of the Justice Department. In fact, Uber’s CEO, Dara Khosrowshahi, tapped the Stanford Law School graduate due to his experience as a federal prosecutor and commitment to corporate ethics and diversity. Kareem Yusuf prepares customers for the future today. He leads Watson IoT—Internet of Things—the IBM business unit focused on helping clients in asset-intensive industries. The Watson IoT is a cognitive system that learns from and infuses intelligence into the physical world. As such, his team helps clients transform their enterprises by maximizing value from their connected assets, leveraging insights, and AI. The 19-year IBM veteran has held a variety of leadership positions within the tech giant that produced 2017 revenues of $79 billion. His prior position was chief product & technology officer, Watson Customer Engagement in which he helped drive digital marketing, commerce, and supply chain success using cognitive technology. He has also worked with software development and SaaS operations, mergers & acquisitions, and field technical sales.